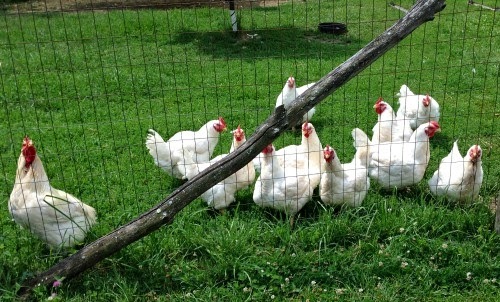 Chickens enjoying the good life at Woodstock Farm Animal Sanctuary. How can you replace eggs in your baking? This question, a common one for vegans or folks living with an egg allergy, is becoming relevant even to people who usually eat eggs. Why? Aside from the animal welfare concerns that are an ongoing issue in the egg-laying industry, due to the bird flu, millions of egg-laying hens have been killed resulting in an increase in egg prices. What are some easy, whole foods, plant-based ways to replace eggs in your baking recipes? 1/4 cup canned pumpkin or pumpkin puree. All of the baking recipes on this site use one of these options. Please feel free to explore the cookies, muffins and cakes here to get started baking egg free.